As strange as it may sound, we can all be thankful that Psalm 88 was included in the Psalter. This psalm is unbroken distress from beginning to end with nary a word of affirmation of trust or hope in God. The Psalmist says his "soul is full of troubles," that he is "like the slain that lie in the grave," that God's "wrath lies heavy upon me," and so on and so on, billowing clouds of blackness lingering above his words. Finally, in the end, he accuses God of having "caused my beloved and my friend to shun me" and says that "darkness has become my only companion." It is the voice of one who has faced lifelong trouble and suffering, without relief. Although I cannot stand in the writer's shoes, I can identify with his sense of unrequited loss, as I suspect anyone who has lived a while can. I was lamenting today the apparent loss of the ability to any longer sleep an unbroken eight hours without awaking, a small loss in the context of the universe of loss. And yet even small losses are real and lamented at times. And at times, like the writer of Psalm 88, I am not prepared to immediately make great affirmations of trust in God, of hope that this will change. There is some wrestling to be done, some being in the moment of loss. Psalm 88 says that's OK. That's part of the reason that the psalm is likely there for us. There is a difference between grief, our human reaction to loss, and self-pity. True Christian grief says, "I remember my affliction and my wandering, the bitterness and the gall. I well remember them, and my soul is downcast within me. Yet this I call to mind and therefore I have hope: Because of the LORD's great love we are not consumed, for his compassions never fail. … Though he brings grief, he will show compassion, so great is his unfailing love. For he does not willingly bring affliction or grief to the children of men" (Lam. 3:19-33). On the other hand, self pity turns our gaze inward. It is a morbid self-introspection and, ultimately, if it persists, can turn to bitterness and even unbelief. It's a "Lord, do you not care. . . ?" (Lk. 10:40) that grows exponentially if it's not nipped in the bud. But note, though there are no affirmations of hope and trust, the writer of Psalm 88 is engaged in a dialog with God. He is praying to the One who has answers for his grief. Maybe he can't make the positive affirmations that other psalms of lament come around to, yet, nevertheless, he's still talking to God. And that is hopeful. Let's face it. Sometimes loss is so acutely felt that you can't say the words you know are true, or hope are true. You can only cry out to God, argue with God, even accuse God. That He condescends to allow us that fearsome privilege, that He even gives us this psalm as a pattern for doing just that, only demonstrates how great a condescension He has made for us (Phil. 2:5-8). Eventually, once we have said our piece and shut up, we'll hear something like "let not your hearts be troubled," "fear not," or "rejoice." And for me, the one who cannot sleep the sleep of a child, there is the promise that He will give me "rest" (Mt. 11:28), if not now, then soon. Very soon. Whenever I walk in a place, I begin to take dominion over it, to make the place my own. Habitual paths create a familiarity that is settling. The maple tree at that bend in the path is the one with the squirrel's nest about 20 feet up, with the bent trunk testifying to some past storm; the boulder, just there, retaining the warmth of the Spring sun even at dusk; that robin could just be the same that walked across my path yesterday, just here; the cooler breeze in this dip in the trail a familiar change, one I've felt before. You see, I know this path, this lake, these birds, trees and breezes, the rise and fall of topography, the winter sun and summer sun, the cacophonous sound of the geese, just in from other parts, the distant sound of traffic, of the world waking up, the smell of breakfast through an open window, that woman who never looks up as she passes, the gossiping women who can be heard clear across the lake. In this place, in my neighborhood, I can put names to what I see. Street names like Godfrey, Gainsbororugh, Winthrop, and Redmond, or family names like Vaughn, Mangum, and Parker, or a love-sloppy dog named Sandy or a matronly cat named Rachel. Deer crossing the neighbors back yard. A racoon climbing a pine tree. A pink ribbon on a mailbox and a just married sign on my neighbors' front door. The dappled light of early morning sun on my terrace. A chipmunk hurriedly chewing and storing seeds before diving back into his den under my steps. A male cardinal slinging birdseed to the dove below the feeder. A barking dog. A hoot owl? Green leaves against azure blue sky. Trucks passing on. The newspaper waiting on the driveway. The long sigh of my still sleeping child. All familiar, all deeply settling. In Psalm 1 we are told that the blessed life is one "like a tree planted by streams of water that yields its fruit in season. . . ." The simile is one of settling in, of being rooted, of drawing sustenance from being in one place, of being in the right place. The blessed man is described as one who finds "his delight in the law of the Lord, and on his law he meditates day and night." Reading the Psalms this side of Christ's coming, of God's revelation of Himself in the perfect man, we understand that the psalm commends settling into the full revelation of God, the perfect expression of which is found in Christ. Matthew Henry says that "[t]o meditate in God's word is to discourse with ourselves concerning the great things contained in it, with a close application of mind, a fixedness of thought, until we are suitably affected with those things and experience the savour and power of them in our hearts." In other words, we settle into God's revelation. We roll around in it, if you will. Conversely, when the psalm speaks of the wicked, it plainly portrays them us unsettled, unfixed, as "chaff that the wind drives away," lacking roots. In fact, Henry says that the word wicked "means such as are unsettled, aim at no certain end and walk by no certain rule, but are at the command of every lust and at the beck and call of every temptation." The wicked, the unblessed, the unsettled and uprooted, pass through life like wind, blown about, never really knowing God nor His world. If being blessed is being settled in the full revelation of God, then it means first being settled in God's Word, in His special revelation about Himself. And yet as paramount as knowing God's Word is, there is more to it than this. Part of God's revelation, part of what I am settling into, is His world. Psalm 19 aptly links the law of God, his special revelation, with Creation, His general revelation. The sense you have in reading this psalm is of a person who not only meditated on God's law but on God's world. This writer can move easily from "[t]he heavens declare the glory of God, and the sky above proclaims his handiwork. . . ." to "[t]he law of the Lord is perfect, reviving the soul. . . ." The Psalmist meditates on Word and World. Love for Word is inseparable from love of World. What does the psalm say about Creation? It says "[d]ay to day [it] pours out speech, and night to night [it] reveals knowledge." If I listen, I can hear two melodies ---- one in a major key that tells me what is right, good, and true; one in a minor key that tells me what is bent, gone wrong, and untrue. Part of the deep settledness of the Christian life is learning to love the things of the World, to see in their luminous particularity God's revelation of all that is true, good, and beautiful, to see the things of the world (to invert the words of the song) grow strangely bright, as we turn our eyes upon Jesus, as we settle into, sink roots into, the fullness of His revelation to us. Think about that, next time you're out walking. Settle in. 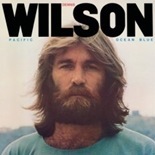 At long last, Dennis Wilson's long out of print solo recording, Pacific Ocean Blue, will be released by Sony in a two-disc legacy edition on June 17th. I have long thought Dennis, brother to Beach Boy Brian Wilson, was second only to Brian in talent, and it shows on this disc. The first disc appears to have four unreleased tracks, and the second a full 17 additional tracks, a treasure trove for collectors. It appears that these bonus tracks are in part drawn from Dennis's uncompleted and unreleased Bamboo project, some rumored to be collaborations with brother Brian. Others could be collaborations with his then Fleetwood Mac girlfriend Christine McVie. Sadly, Bamboo was never completed due to Dennis's many personal problems. He died in 1983 in a drowning accident and whatever genius he possessed was lost. You can find all you ever wanted to know about Dennis on Dan Addington's website. And much, more more on the reissue (along with quotes from the producers, video clips, and reviews (uniformly good) here. "God is not concerned about our plans; He does not say --- Do you want to go through this bereavement; this upset? He allows these things for His own purpose. The things we are going through are either making us sweeter, better, nobler men and women; or they are making us more captious and fault-finding, more insistent upon our own way. The things that happen either make us fiends, or they make us saints; it depends entirely upon the relationship we are in to God." "You don't look 49," he said. "And you don't look 70," I said. I added "we must be living right," a quip that I know isn't entirely or even mostly true.
" I don't think living right has anything to do with it. My wife lived right all her life, did good to everyone, helped everyone, and we just found out she has cervical cancer. That's not much of a reward for living right, is it?" Of course not, and of course such aphorisms, while having a semblance of truth, aren't really very useful, aren't even very true. There is utility in living right. Perhaps we're less likely to contract lung cancer if we don't smoke or have a heart attack if we eat well and exercise or escape divorce and its repercussions if we avoid infidelity --- and yet the most fit sometimes have heart attacks, children die young, and generous and kind old ladies get cervical cancer. We all know that. I don't want trial and suffering to come to me or mine or even friends. Who would? And yet the older I get the less I pray against such things as I pray about what happens to me and mine while enduring such things. For after all, didn't James say to "[c]ount it all joy, brothers, when you meet trials of various kinds, for you know that the testing of your faith produces steadfastness," (Ja. 1:2)? Am I becoming "sweeter, better, nobler" as a man? I hope so. Visit the elderly in nursing homes and assisted living facilities and you can see the result of lives lived unto God or without Him. One person has suffered much, and yet is sweet in spirit, full of grace, living in gratitude, counting it all joy. Another has suffered much less, perhaps, yet is embittered and angry, arguing about petty grievances, fixated on some regret or some perceived wrong. The difference is the relationship to God. When we have that right, then what's happening is an inward transformation even despite (or because of) an outside trial. Otherwise, I waste away, eaten up by the sins of resentment and anger that trial produces apart from God. Today I heard that CCM musician Steven Curtis Chapman's five-year old child was killed in their driveway in a tragic accident, run over by his teenage child. Can you imagine the weight of this suffering? And yet I don't doubt that this family will not become embittered but will be strengthened in faith, in the end. Lots of bad things happen. God uses them in our lives for good, ultimately. That's what's happening to us. I hope I can remember that and live from that truth when (and not if) I face my next trial. The heyday of the concept album is long past, and I miss it greatly. In the late Sixties and early Seventies, such themed albums were all the rage, artists working from a large palette, able to choose and sequence their songs and have input into cover design and liner notes, something unheard of in the music business before that time. It's likely that the first person to be given such artistic control was a young twenty-something Brian Wilson, who used it to full effect on 1966's Pet Sounds, selecting songs, commanding a studio full of the best L.A. session musicians, and overseeing the entire concept of the record. It isn't that such concept albums did not persist after the demise of vinyl, but it became more difficult to pull off. Compact discs offered less room for artistic choice. But the whole idea of the album is falling by the wayside with digital music. Sure, there may still be album releases, but many of these albums are no more than collections of songs, musicians well aware that the individual song is all that matters, that consumers will generally download a song that "pops" for them in the first 30 seconds, that patient listening to a whole planned sequence of songs, whether organized around a theme or simply organized for effect and mood, is not rewarded. What's happening is a dumming down of artistic expression, a shrinking palette, and a focus on a song rather than a body of work. This concept of an album as a work of art is becoming so foreign to some that it helps to turn back the clock and use an example, and I choose one of my favorite concept albums, The Kinks' 1969 release of Arthur, or The Decline and Fall of the British Empire. Arthur is the kind of album that folks who download might zip through, listening to a minute or two of each song, and then downloading a couple that are immediately memorable, like "Victoria," or "Australia," or the beautiful "Shangri-La," and yet completely miss the story told in the other songs or the narrative that streams throughout. 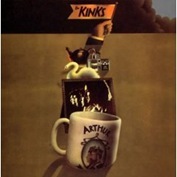 Arthur was a collaboration between Kinks frontman Ray Davies and novelist and playwright Juliana Mitchell, a story and soundtrack of sorts originally planned as a TV musical drama --- only the budget was pulled. It tells the story of a working class man's love of and then disillusionment with Britain, his flight to Australia, and his ultimate regrets at a life of innocence lost. In the end, Arthur's questions about life are best put by Mitchell as "What's it all about then? Is this what I've lived for (a suburban home, car, job)? It's been a good life, hasn't it? Well, hasn't it?" You're left with that gnawing sense that there must be more, that Arthur somehow missed the point of life, the real meaning. The songs tell a cohesive story. "Victoria" kicks off the album in a rocking way, Arthur paying tribute to the "land that I love," the "land of hope and gloria/ Land of my Victoria." 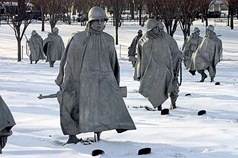 In "Yes Sir, No Sir," he goes to war, ready to do his duty, and yet despite his sacrifice realizes that he can never rise above his class, will always be on the outside: "So you think you've got ambition/ Stop your dreaming and your idle wishing/ You're outside and their ain't no admission/ To our play." Though Arthur survives, many others don't, the mother in "Some Mother's Son" waiting for a son "who ain't coming home today." And yet it's not all dark, "Drivin'" providing a light note, with Arthur packing the boys in the car for a drive, telling then to "Drop all your work/ Leave it all behind/ Forget all your problems/ And get in my car/ And take a drive with me." "Australia," which almost turns psychedelic at the end, is a rocking end to the first side, sounding like a promo for utopia, promising that "everyone walks around with a perpetual smile on their face in Australia," a place where "you get what you work for" and there's "no class distinction" and "we'll surf like they do in the U.S.A." Flip the album and you realize that Australia is no "Shangri-La," that when you've got what you thought you needed to be happy, you're really "too scared to think about how insecure you are/ Life ain't so happy in your little Shangri-la, Shangri-la." Lurking underneath the upbeat musical tone of the song is a fair amount of angst, of latent anger at how life's turned out. Empire, status, position --- could it be that the world was wrong? The album asks a great question, planting the truth that there must be something more to life. It was a question asked a lot in the Sixties, but it's every bit as relevant now. A great song can ask this question. But a great album does it far better. It puts a story in your head that's difficult to shake off. 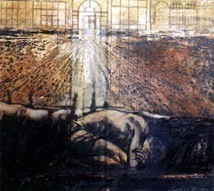 Davies uses music well in the telling of the story, letting the pace of the song, the temp0, and the mood fit the lyric. Also (and you would never know this from the compact disc), each side of the album begins and ends with a strong, memorable song, the last song on Side One, "Australia," setting the stage for Side Two, where we find that "Shangri-La" is not what it was cracked up to be. The album begins strongly with the Arthur of youthful innocence, believing in Britain ("Victoria"), and ends with the title cut, "Arthur,' him wondering if he missed something along the way. There's something in that pause, that getting up to turn the record, that worked well as an artistic device. Finally, listening, I'm holding a large gatefold album in my hands, perusing the art, poring over lyrics, and asking myself the question "what am I living for?" That's a great piece of art: it puts me in the story. Folks, one song just can't as easily do that. One song promises but doesn't quite endure. So that's another reason I like the album, particularly the concept album. You should try it while it's still possible. Maybe start with Arthur. Despite my predisposition for vinyl and aversion to a digital only music consumption, I've not yet been labeled a Luddite. In my last post on the subject, I lamented the passing of vinyl, and yet I know that we cannot go back, that we live in a digital age. I am remembering for two reasons: first, I want to know what it is I have lost and whether and to what extent it matters; and, second, if I have lost something that is important, I would like to consider how to recapture some of that in a digital age. As a Christian, I look at remembering not as a wallowing in nostalgia, but as a way of meeting the future, of preserving the good we may lose if we don't take care to translate it into the present. I do not want to be unaware of a cultural shift that negatively transforms the way I think and live. I also made the audacious claim in my last post that vinyl was more biblical. I did that because there is something about that whole experience that is more satisfying and seems to better embody values consistent with Scripture. Whether you read Neil Postman's Technopoly or Jaques Ellul's Technology, the lesson is that any technological change has not only positive but negative consequences, yet they don't always cancel each other out. Sometimes change is much, much better (for example, there is absolutely nothing important that was lost with the passing of the 8-track tape), and sometimes the consequences are more negative than positive. I think the latter holds true with the move from physical media to digital media. What we lost is greater than what we gained. Permanence. God is not opposed to change, and yet Scripture gives priority to the permanent, to things that do not change. The ease with which we buy and sell in a consumer era breeds contempt for things that endure. Something I can have immediately and relatively cheaply (like an ITunes download) is cheapened, less important, more easily dispensed with. When I used to shop for LPs in stores, the delayed gratification and anticipation fostered a more enduring appreciation. I waited to find it, to buy it, and finally to listen to it --- all the time thinking about it, anticipating it, and, after buying it, reading it and holding it until I could get it home to actually play it. Respect. Because I cannot easily skip tracks that don't immediately connect with me, I listened through an album, first one side, then the other. I appreciated the sequencing of songs, the lyrics, the quality of production. Repeated listenings built appreciation for the more understated and yet powerful songs. In the late Sixties and Seventies, artists took full advantage of this kind of listening, paying attention to album concept and sequencing so as to produce an integrated work of art. 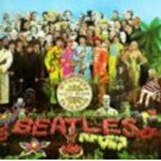 Consider Side 2 of The Beatles' Abbey Road, where each song anticipates the next. Or rock operas like The Who's Tommy or Quadraphrenia. Somehow skipping over songs with the click of a button just wouldn't have been respectful: the artist had produced a whole work of art. Community. As I've alluded to before, buying and listening to records was not an individualistic activity. When you had a record, you had a visible assemblage of recorded sounds, something you could more easily share with another person, something you could pore over together. In fact, record stores were great places to hang out and discover new music. There were simply these large, tangible items that attracted us and around which conversation was fostered. Accountability. Like it or not, producers, record companies, and disc jockeys served as quality control for what we heard. The downside of this is that some good music never made it to its audience; the upside is that a lot of mediocre or just plain bad music stayed where it belonged (in the garage). I should know. I was in a band in high school that needed to stay just there, in the garage, a problem only for the next door neighbors. These days, when anyone can record inexpensively at home and have a MySpace page, good music is difficult to find in a barrage of noise pollution. No one is accountable. A Richer Incarnation. The artist who released an album on LP knew he or she was working with a larger palette. The artistic work, if done well, not only was a collection of sounds embodied in discrete three to four minute songs but could be focused on a concept or theme, with cover art, liner notes, and sequencing of songs that fostered surprise, diversity of sounds, and anticipation to create a richer, multi-sensory experience. Can you add to this? I suspect that there is more than this to be said, as well as some counter arguments about digital music. Yet I have the overwhelming sense that I have lost something, and I want it back. As we can't turn back the clock, how do we carry these values into a music culture of disembodied sounds? I'll deal with that next! If you are under 25, the following may not make sense to you or, at very least, you will only be able to experience what I describe by some imprecise analogy. What I am going to describe is the pleasure of thinking about, buying, and listening to a vinyl LP record --- yes, those rather large, archaic looking 12-inch in diameter discs in square cardboard sleeves, probably found somewhere in your parents' attic or grandparents' den. Even if you're over 25 and have bought a vinyl LP at some time in the past, you may have forgotten what the experience is like. A cultural shift occurred while you were busy living. So let me tell you what it was like for me. First, in my youth and teenage years, other than Rolling Stone Magazine or FM radio, there was little information available on new music releases --- no web pages, blogs, MySpace, or satellite radio. You found music by going to the record store and cruising the bins. In addition, there were very few stores dedicated solely to records. In my hometown, there was one, and it was inconveniently located downtown. I did most of my record shopping in the basement of Franklin's Drug Store, an area which amounted to about six feet of bins, two deep, all-inclusive of every genre. My first record cost $3.49 --- an exorbitant amount for me then. Essentially, I would have to cut two neighbors' grass to earn that much. Given that gratification was delayed (another feeling many under 25s often do not know), I had some time for dreaming about what I would buy, shuffling through the colorful records in the bins, staring at the artwork, and holding the records. I can't overemphasize the sense of touch, the simple pleasure of holding something. Take, for example, the Beatles' Sgt. Pepper's Lonely Hearts Band LP, released in 1967 when I was nine (and which I discovered a couple years later). There is a lot to look at on that cover, a pop art melange of characters, with psychedelic colors popping out at you, the word "STEREO" printed at the top of the cover, an important claim then, and lyrics printed on the back. Before Pepper it wasn't common to get lyrics with an album. Rip open the shrink wrap and the sleeve opens like some awesomely oversized CD digi-pak to reveal a full color photo of the Fab 4 decked out in their marching band threads, and there's a similar shot on the back, standing, only Paul is turned with his back to the viewer. How long did we discuss why he was turned away from us? What message was being conveyed? But the fun doesn't stop there: Inside the sleeve is a color page of Sgt. Pepper cut-outs --- a mustache, badges, a stand-up band photo, and more. And the weight! With disc, Sgt. Pepper clocks in at 13 ounces, not much less than a pound. Substantiality! When you carried an LP around, you had something. When I'd get a record like Sgt. Pepper, or Jethro Tull's Aqualung, or Jefferson Airplane's Bark (which came in a brown paper bag), I'd take it to school. A handful of guys in junior high would lug six to ten LPs around, and the after-lunch conversation in the courtyard was all about music. We'd stare at the album covers, discuss the music and the meaning of lyrics, theorize about the album concepts (they had concepts then), and swap records for an evening. The creativity! Grand Funk Railroad's E Pluribus Funk LP was in a round, silver dollar-like package, Traffic's Low Spark of High Heeled Boys LP was a parallelogram, the corners clipped. The Bee Gees' double-disc Odessa CD was covered in red velvet, like carpet (this was prior to that ugly disco phase for the boys). On So Long Ago the Garden, pioneer Christian rocker Larry Norman is half naked on the front, the back a pair of snake-skin boots and a half eaten apple. (Many retailers refused to sell it.) Records made a statement, and their very size assured that it would be a very public statement. Carry the zippered front of The Rolling Stones' Sticky Fingers around a high school campus and you've said something, haven't you? LPs are multi-sensory experiences. You can touch a record, smell it (whether vinyl, the cardboard sleeve, or something else like the scratch and sniff sound of The Raspberries self-titled debut), hear it, watch it turn on the turntable, lift the needle and set it down on another track, open it, see it on a shelf, and ponder the artwork. Digital music is for listening only, with only a teaser of cover art. LPs are (were) public experiences. When you bought an LP, you purchased it in a public place, carried it around, and put it on a shelf where folks could see it. 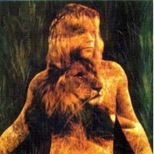 When you carry around a half-naked Larry Norman, people talk. Junior high girls freak. People generally don't know what you're listening to on the IPOD and often don't care. LPs created a limited, shared market. When artists were limited to LPs, the market could only absorb so much, as there was only so much shelf space. There was a more shared appreciation of music, in that the market was limited. In today's digital world, there are so many artists and such a broad spectrum of quality that chances are most of the artists a person is listening to are ones you've never heard of. That being the case, we lose a shared culture and have less to talk about. We can say "I like X", but it's difficult to discuss X with someone who hasn't heard X and has little reason to. LPs rewarded patience. You could pick the needle up and skip songs, but given the difficulty of it, we were more apt to listen to whole albums. Given that albums were sometimes conceptual, this promoted deeper listening. The track that didn't bowl you over on first listen may grow on you and reward on repeated listenings. LPs sound better. It's true, provided the record is well-preserved of course and you have the right equipment. I wouldn't know, as I never had great equipment, but all audiophiles say this. That's just a few things that made records better. Not that they were better in every way. (That's another post!) But basically, we traded all this for immediacy and portability. I think that's an unfair trade. Stay tuned for tomorrow: Why the vinyl LP is more biblical than digital music. I'm serious, people! The kids are missing out! When I opened the cover of The Miracle at Speedy Motors, the eighth novel in Alexander McCall Smith's hugely popular #1 Ladies' Detective Agency Series, it was like seeing old friends after being apart. I missed them. I'm glad to know what they have been doing. I don't want them to leave. If you don't know the series, its chief protagonist is the "traditionally-built" (that is, somewhat overweight) Precious Ramotswe, owner and founder of the #1 Ladies' Detective Agency in Gaborone, the only woman detective in all Botswana. Precious is married to Mr. J.L.B. Matekoni, owner of the auto repair shop Tlokweng Road Speedy Motors, where Mma Ramotswe and her assistant, Mma Makutsi, also have an office. The stories are about the people and problems confronting Mma Ramotswe, as well as the life of Mma Ramotswe, Mr. J.L.B. Matekoni, and their two adopted children, as well as Mma Makutsi, her fiance, and Charlie, the shop apprentice. If all this sounds unexciting, you'd be right, in a way, and yet none of that matters here. What oozes from these stories is nothing less than a panoply of Christian virtues: love, mercy, respect for others, forgiveness, hope, and plenty of good humor. There's no preaching here, yet the narrator allows us to listen in on the thought processes of the characters, their struggles to do right, their humble self-doubt, and their reminding themselves of their convictions. Because the characters are so human, and yet are often virtuous, you grow to love them. You even want to emulate them. In this eighth installment, the primary case that Precious Ramotswe is investigating is that of a woman who is looking for her family, even though she doesn't know her real name or if any members of her family are living. The case takes some unusual twists, and its conclusion is a demonstration of how what we may perceive as failure may ultimately be reckoned as success. Meanwhile, Phuti Radiphuti, fiance of Mma Makuti, has bought a new bed for their life together, yet tragedy strikes. And Mma Ramotswe begins receiving threatening letters in the mail. And finally, Mr. J.L.B. Matekoni is given false hope that his daughter's medical condition might be miraculously cured. Yet in the end, they all discover that the biggest miracles are often the smallest ones. Mma Makutsi laid aside her pencil and stared across the room at her employer. She opened her mouth to speak, but then closed it again. There was much she wanted to say, but even these few moments of contemplation of what Mma Ramotswe had said had shown her that everything that she, Mma Makutsi, would have said was wrong. Mma Ramotswe was right: evil repaid with retribution, with punishment, had achieved half its goal; evil repaid with kindness was shown to be what it really was, a small, petty thing, not something frightening at all, but something pitiable, a paltry affair. I commend these books to you. The are full of grace, and yet not sentimental but about real people who make mistakes and yet who often demonstrate wisdom, kindness, and love. They remind you that everyday miracles abound if you look for them. I'm not sleeping very well. I haven't always been this way. I think, perhaps, that before I was 40, I did in fact sleep through the night, rarely waking, but I haven't been that way for a long time. I wake up once, and then I go back to sleep. Lately, however, I wake three to four times a night, and I do not always return to sleep. I am not worried about anything. I am not sick. I do not have sleep apnea, or a host of other things that may keep you awake. I'm just . . . awake. My children and my wife do not know the sound of the house around us at 2:00, or 3:30, or 4:45. I do. The air conditioner fan turns on, and off, then back on. The refrigerator hums. Someone snores, or turns over, and the bed creaks. And there are other strange creaking sounds that are mysterious, perhaps the house settling back into the earth, forecasting its demise one distant day. That's the newspaper deliveryman, the paper landing with a plastic-wrapped thud on concrete, headlights playing off the walls. Around 6:00 the birds awake, and my cat begins to move about, with an odd chirping meow, letting me know she's up. And then there's the sound of remembrance, and you think of a childhood trip with your family to the mountains where you stopped by a mountain stream for a picnic, or a long-forgotten smell of a home you grew up in, or the beckoning of a voice you have not heard in a while calling you to dinner. The world is at rest and you can really listen to it and remember and consider things that get pressed out of your mind during the day when our thinking is more economic. At night we can afford to waste time, to be expansive. . . that is, if you cannot sleep. I've been lamenting this lack of sleep, silently (mostly) complaining about it, as well as engaging in a bit of uneducated self-diagnosis. But the bottom line is that I haven't a clue as to why I am not sleeping that much. Today, however, I suddenly realized how rich I am, what a gift I've been given in what I considered lack. Someone said this last week, in another context, that we should not live in our lack but in our wealth. I think that was meant for me. It's one thing to be wakeful because you are suffering pain, anxiety, or some other trial. It would be difficult to call that a gift. It would also be difficult to call wakefulness a gift if it caused you to have difficulty functioning during the day. But none of that is generally true of me. A few years ago my good friend Jerry told me that he was only sleeping two hours a night. He was delighted. The rest of the night he wrote songs, read his Bible, and walked all over the mountain on which he lived and through his neighborhood praying for people. I felt sorry for him then. I figured he would crash and burn at some point. I thought he was crazy, even manic, and yet he considered it the spiritual high point of his life. Nothing bad happened to him. After several months, he began to sleep again. Now I think God gave him a gift, a crazy irrepressible wakefulness, delighted that Jerry could spend time alone with Him. I never heard him complain about it. This kind of wakefulness is not what I would call ideal, but I have no choice. It's given. You can't seek it, or you will crash and burn. I wonder some days how I function on all but four-five interrupted hours of sleep. And yet God promises rest to those who come to Him, saying "Come to me, all who labor and are heavy laden, and I will give you rest" (Mt: 11:28). In fact, rest is the optimum state of the believer, "for we who believed enter that rest" (Heb. 4:3). Sleep is a "sweet" gift to the laborer" (Eccl. 5:12), and yet that's not my gift right now. It just may be that His "rest" does not include a lot of sleep but means he'll sustain me as I trust Him through the night watches. He just may have things for me to do and think at night. Besides, have you worked at sleeping? It's counterproductive. Kind of like trying to work at being saved. Just this past week two other friends told me they were having trouble sleeping. Maybe I'll call them up tonight. No, maybe not. It may not be a gift to them but a trial. But next time you see me, ask me what I been doing with my nights. Whatever I do, I hope its Godward. Pray I'm resting in Him. I'll let you know how it goes. Sometimes God gives us what we ask for not for the reason we ask for it but for another, better reason. 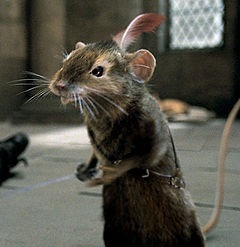 That's the lesson of Reepicheep, the valiant if small mouse warrior that we first meet in Prince Caspian. If you recall, Reepicheep is an Old Narnian, a talking mouse, somewhat proud, deeply concerned about his honor and dignity, passionate, possessing a temerity larger than his size, loyal to the High King always, a true believer from the beginning. "Sir," said the Mouse, "I can eat and sleep and die for my King without one [note the melodrama of the Mouse]. But a tail is the honor and glory of a Mouse." And so, for love, Reepicheep's petition is granted by the Great Lion. Isn't that the case with so many of our requests to God? We ask for something, our motives impure or mixed, and yet we receive it for another reason all together, for love, for the sake of others, or for some other hidden reason that only Providence knows. What it reminds me is that I need to ask, even if I don't know if my reason is a good one or my motives pure. I still need to ask, to boldly ask. Not only did Reepicheep have his request granted, in the asking he also learned that dignity and honor were not as important as love. When we ask, we too can be gently instructed by God that our motives are impure, and yet Love gives us what we need anyway. What I note in Lewis's writing about the talking animals of Narnia, including Reepicheep, is that whenever he uses their common name, like Mouse, he always capitalizes it. I think it's his way of showing honor, of recognizing the dignity of the talking animals of Narnia, creatures who, in that world at least, are made in the image of their Creator. In addition, did you note the name of the second Mouse, Peepiceek? It's a sign of love and honor that his given name even sounds like his Chief's, Reepicheep. The authors of A Reader's Guide to Prince Caspian note C.S. Lewis's fascination with mice, his great love for animals. They report that, in writing to a young child about Reepicheep, Lewis declared: "I love real mice. There are lots in my rooms in College but I have never set a trap. When I sit up late working they poke their heads out from behind the curtains as if they were saying, 'Hi! Time for you to go to bed. We want to come out and play.'" I'm looking forward to meeting Reepicheep in the upcoming movie. His courage, passion, loyalty, and love remind me that there are no little people. . . or mice, provided they are God's People. . . or Aslan's Mice. You may recall the melody of this old and shopworn praise song. I do. While I cannot easily sing it anymore without a slight cringe, if you divorce it from the tune for a moment, the words are right on: In the light of Jesus, the one who gives meaning to everything of the world, the things of the world do look dim by comparison, and yet by His light we better see what is true, good, and beautiful. If your family is like mine, you are used to a significant measure of peace and prosperity as compared to the rest of the world. For many months, my wife and I have felt that we needed to be awakened --- not only for our sake but for the sake of our children. We assume much, take for granted much. I think and write often about the built environment and marvel at how cities work --- clean water flows via underground pipes and sewage is carried away, electricity is dependable and relatively inexpensive, streets paved an almost entirely without potholes, the grocery store has every food item I could possibly need and more, 95% of us are employed, even the worst schools give the basics and most do much better, and so on. And yet, even marveling at all this, I cannot hold it in my mind for more than a few minutes. Life goes on and I assume much. I'm not confronted everyday with poverty or public infrastructure that is non-existent or substandard. Late last year we heard of an opportunity to join other students, parents and teachers from Trinity Academy of Raleigh, our children's school, and a local organization called Embrace Uganda, on a two-week missions trip to the village of Kaihura, Uganda. Kaihura is about three hours drive over rough road from Kampala and Entebbe Airport, a small village in the mountains with little electricity, no running water, and no healthcare. Our entire family committed to going. We decided we wanted to share the same experience. We'll be helping with some additional construction at a vocational school there, working with the orphanage, doing soccer and other games, and carrying books to start the village's first library. You can find out more about it here. Fear. What if I or a member of my family had a major health concern while there? I confess this was the largest obstacle for me. We did the prudent thing, making sure we have medical evacuation insurance, but we are a long way from a quality hospital. The "what ifs" are haunting. And yet the bottom line, the thing I return to, is that we are all in good health, have a doctor along on the trip, and have this opportunity to trust God. "[F]or God gave us a spirit not of fear but of power and love and self-control" (2 Ti 1:7). And I know better than to make decisions based on fear (even though I feel it at times). Will I trust God? Calling. As we considered whether to go, we all prayed for guidance. And yet what are we looking for? God has rarely hit me over a head with something, and I still cannot say I have a passion for going, but I do have a passion to be changed, to be molded by God into a shape more resembling who He made me to be. I think that's where we all come down, putting ourselves in an uncomfortable place so God can use us. But shouldn't I feel more passion for this mission? Selfishness. Every Summer our family takes a long two-week vacation. I love these times. I love being together, even if the biggest arguments I have had with my children come on vacation. We have years of shared memories from these trips. This Summer we will not do that, or, at least we will not do it alone. I have to share my kids with many other people. I'll miss this. I also miss home, familiar places and things, my books, my music, my church, my friends, and good restaurants. And yet it's only two weeks, right? All of this tells me how self-centered I have become, how used to having things my way. You know, I don't want to leave home. I don't want to do without a shower and toilet using a latrine, carrying water from a well and bathing from a bucket, interacting daily with tons of people, a stranger in a strange land. I'm just being honest. But I do want to change. I'm praying that song --- that as I look to Jesus the things I love too much in this world will grow dimmer, that I'll see through them to what matters. Pray for our preparation. Pray for our safety. But most of all, pray that God would transform us and conform us to the image of His Son.